When the Verizon Wireless Blitz came out a year ago, we weren’t that impressed by its quality and features (or lack thereof). 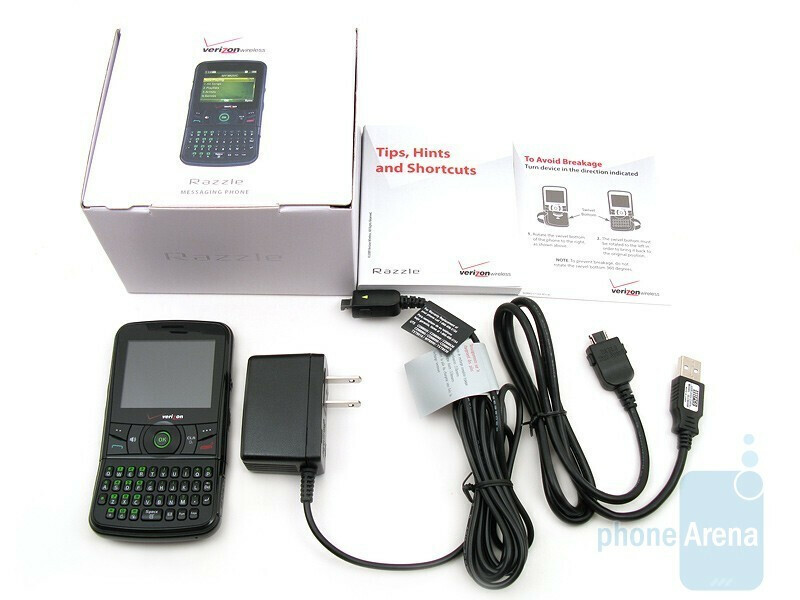 Now that its replacement, the Verizon Wireless Razzle has been released, we’re interested in seeing if the new model is more competent and better equipped, though it does have touch competition from other messaging devices, such as the Samsung Intensity, Alias 2 and LG enV3. 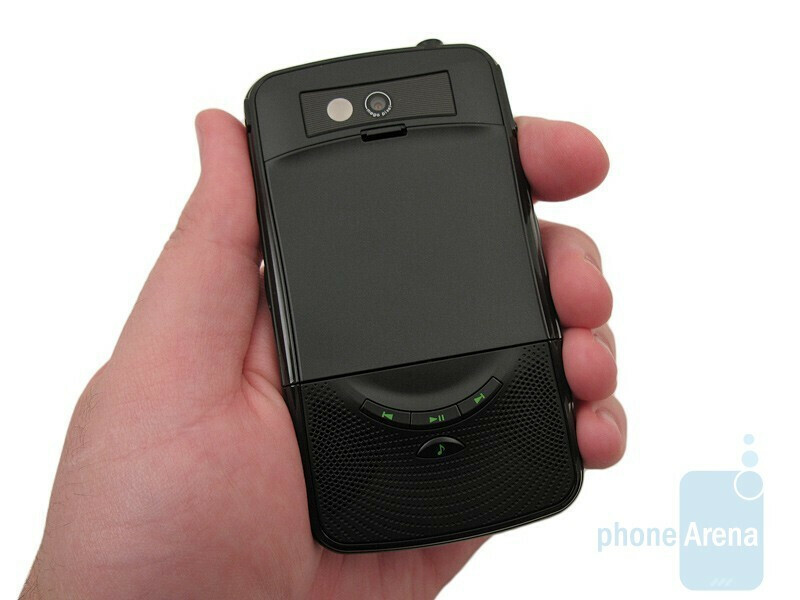 Included in the retail box in the Razzle phone, 920mAh battery, wall charger, USB data cable, 1GB microSD memory card, and user guide. The Razzle remains teen friendly, but loses the blue “toy” look of the Blitz and instead comes with an all-black exterior. Overall build quality seems to have improved, as the Razzle doesn’t feel as flimsy. Both devices come with a similar 2.2-inch 220x176 resolution TFT display, though images do appear slightly better on the Razzle, we would have preferred a higher-resolution QVGA display instead. Directly below it is the d-pad, which is still rather small, but is now circular in shape, and other function keys. On the sides are the volume rocker, proprietary USB port, 2.5mm headset jack, camera and lock key, and microSDHC memory card slot with 16GB support. 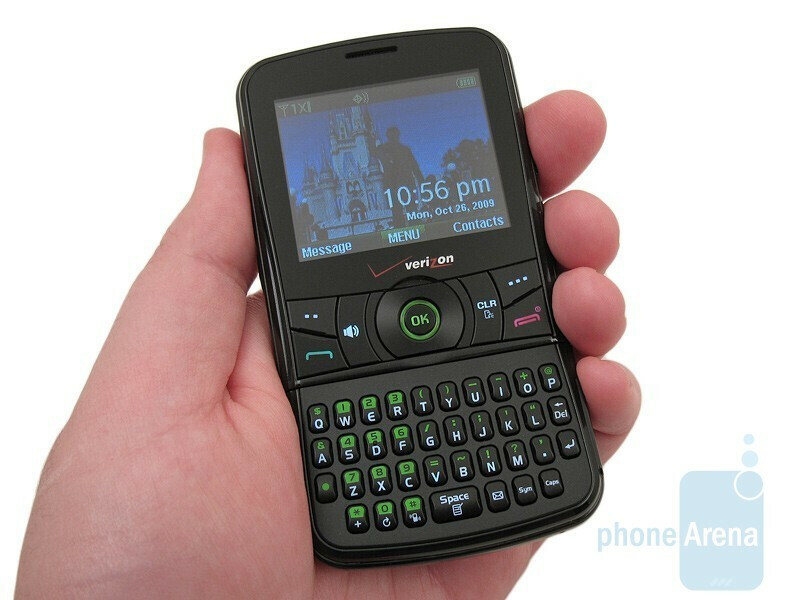 The Verizon Wireless Razzle remains teen friendly, but loses the blue toy look of the Blitz and instead comes with an all-black exterior. You can compare the Verizon Wireless Razzle with many other phones using our Size Visualization Tool. 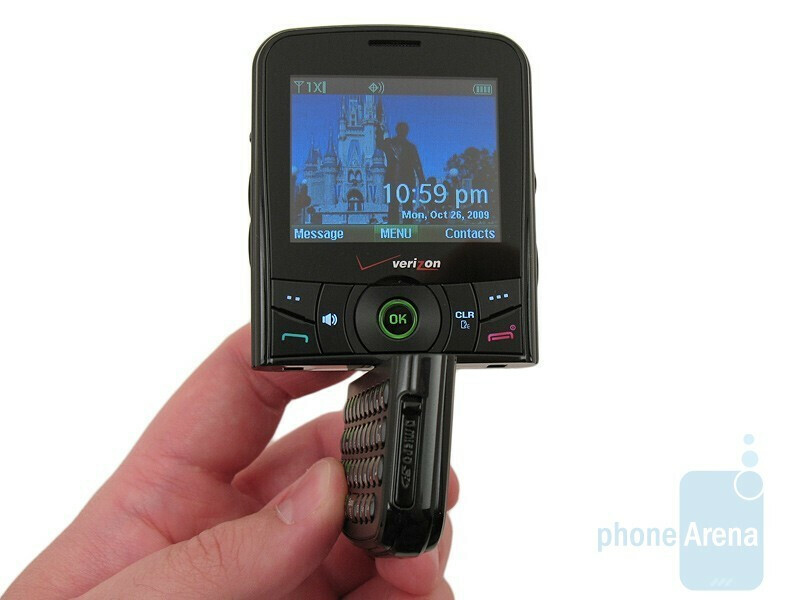 Unlike the Blitz, which uses a sliding keyboard, the Razzle has a unique 180 degree rotating bottom: one side with the QWERTY keyboard and the other with music controls and speaker. When the QWERTY keyboard is rotated and on the same side as the display, the keyboard is given a slight angle, thus making it more comfortable to hold and type messages with. Unfortunately, the keys remain quite small and are best suited for teen-sized fingers, as adults with larger hands will make more typing mistakes. 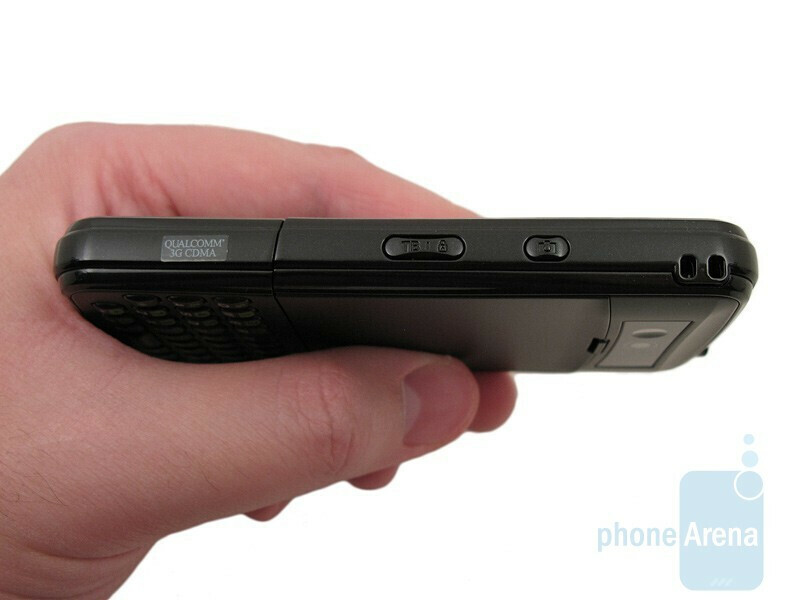 If you feel that you need more room to type, then look at the Samsung Intensity, Alias2 or LG enV3. When the bottom is rotated the other way, it is no longer angled and is flat, with the music control buttons and speaker on the display side. It is a pretty neat design but we can’t help but wonder if the rotating mechanism will hold-up over time with normal daily use. The volume for music is terrible not to mention the quality.it sounds similar to a 60's transistor radio. I downloaded my music from napster so I know the quality is decent,I've also tried different head phones with the same result.